When I first read Gertie's post about making the muslin using Susan Khalje's method, I brushed it aside. I thought there was no way I was going to do all that prep. Waaaay too much work. But then I realized that the point of doing a sew along is to learn new things. So I did it all just the way Gertie explained. And you know what? I did learn a lot- already. I've learned to trace patterns and markings accurately, learned how to sew princess seams correctly and I've learned about all sorts of sewing tools I never knew about. Tailor's ham, anyone? I'm so excited about that! 1. I decided against tracing my pattern and just when ahead and cut it. I know opinions are mixed about that but I couldn't justify adding in another step. I cut a 6 at the bust and waist and an graded to an 8 at the hip. 2. I drew seam lines on my paper pattern. I started using a sewing gauge to mark the seam line but then I found that cutting a small piece of cardstock to 5/8" and using that as my gauge was much easier. 3. I traced my seam lines and markings on to my muslin fabric (with my new handy tracing wheel) and then used another cardstock "gauge" to make a 1" seam allowance and cut out all the pieces. 4. I thread traced all of my seam lines using a small stitch which seemed to take forever. Good practice for actually stitching where you mean to, though. 5. And finally I basted everything together. Gertie's princess seam tutorial was very helpful. And in the end, after all that, I put it on aaaannnd..... it fits. Fits pretty well actually. I only have one issue which I'm hoping someone out there in blogland can help me with. The armholes feel too small. They are okay with a tight top on underneath but I'd like to be able to wear something bulkier under it if I want. What is the easiest way to put a little more room under the arms? I feel like the bottom arm seam is a smidge too high. I can make the curve a little deeper for more room, but then I'm not sure how to make that change on the actual sleeve as well. Any suggestions are greatly appreciated! And if anyone sees any other changes I should make, I'd love to hear. I'm really happy with the end look of Lady Grey. I love the peplum. It's so feminine. This is something completely different from anything else I have in my wardrobe and I'm excited about making up the final version. I'm making it in a bright red wool flannel twill and a mint green *gasp* silk twill lining. I'm nervous about the silk- it's already fraying just sitting on my table. Thanks for the sew along, Gertie! I'm enjoying it and learning so much. I made this skirt a while back but I just rediscovered it in my ironing basket. (There are lots of things in there that I haven't seen for a while) I thought I'd post about it since I did some major changes to a McCall's a-line skirt pattern to make it. That and I don't have anything new to write about since all of my sewing time has been devoted to making my Lady Grey muslin :) It's almost finished. I actually ended up making my own paper pattern before I made this skirt. This was my novice attempt at altering a pattern. The first thing I did was divide the front and back pieces in to three pieces to make a pseudo princess seam. I even remembered to add back in the seam allowances for each piece. It ended up being too big around to the top of the skirt and looking back on it now, I should have traced the curve from the side seams when I divided the skirt in to three pieces. I just drew a straight line. I didn't change the facing. I just banked on the fact that if I measured right, the facing would fit and it did. I added two contrasting gussets at the back which is my favorite part. I got the idea from a Burda skirt pattern, but I can't seem to find which one now. All in all I really like the result. I've worn it several times already since rediscovery. I may just have to pull out my altered paper pattern, make a few changes and try another one. When we first moved in to our house at the beginning of the summer, I had dreams of grandeur about sewing all sorts of home decor items for it. Quilts, pillows, slipcovers for things, curtains for every room... This is all I have to show for it-- unhemmed curtains that have been totally destroyed by my cat. I'm not even sure I'll hem them at this point, they are so full of little tiny holes and tears near the bottom. Apparently my kitty prefers an unobstructed view outside. 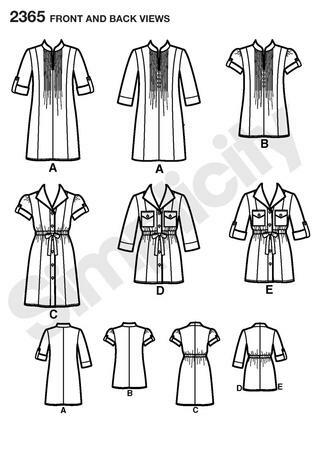 Sewing curtains is not very difficult, but it's time consuming and your measurements have to be precise. I used this tutorial to help me determine the measurements for the size of my odd front window. The fabric I used was extremely slippery and has horizontal stripes on it that I had to match up at the sides. They look pretty good until you get close enough to see the damage. Oh well. 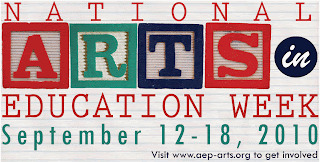 On July 26, the U.S. House of Representatives passed a resolution designating the second week of September as “Arts in Education Week.” The resolution (H.Con.Res. 275) was proposed and introduced by Rep. Jackie Speier from California. The resolution states: [...] Arts education, comprising a rich array of disciplines including dance, music, theatre, media arts, literature, design, and visual arts, is a core academic subject and an essential element of a complete and balanced education for all students. 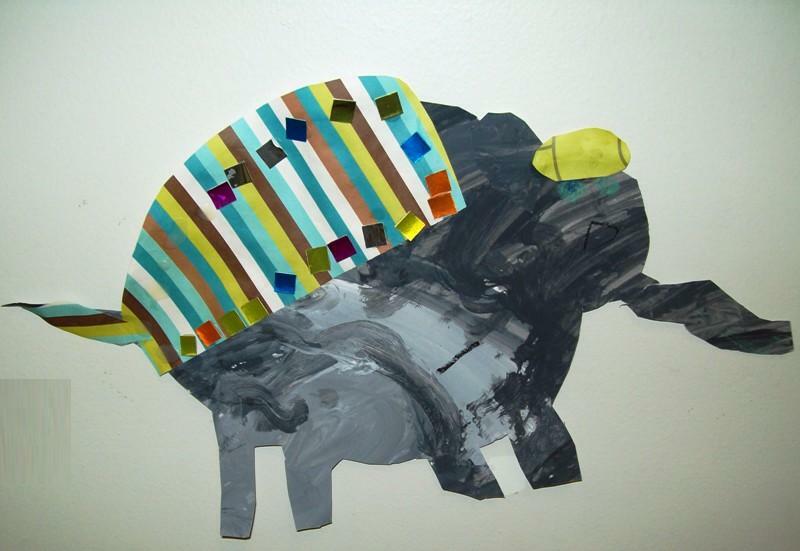 The arts also teach that neither words nor numbers define the limits of our cognition; we know more than we can tell. There are many experiences and a multitude of occasions in which we need art forms to say what we cannot say. . . . Reflect on 9-11. . . The arts can provide forms of communication that convey to others what is ineffable. INTERACT directly with Arts Education. I worked on this linen tunic for almost a week and a half. My sewing mojo has felt a little off lately, so I decided I wanted to try something more difficult and take my time and work at it. I've always admired pintucks on blouses so I decided to give Simplicity 2365 a try. I made view B. The instructions for the pintucks made absolutely no sense when I read them the first time. 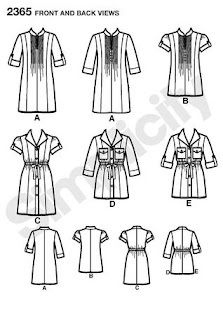 Luckily, I got on Pattern Review and found a review that explained them properly- I love the Internet! It seems Simplicity left out a little bit of information. If you already knew how to do pintucks it wouldn't be a big deal, but I needed all the instructions I could get. I also used this tutorial from AnaJan on Burdastyle. Don't look to closely at my pintucks- they are not exactly straight. I think of them as "organic" pintucks. I kind of like that they are a little uneven with the texture of the linen. The linen I used I originally bought for a pair of pants, so it is probably a bit heavier than what I was supposed to use. I payed careful attention to inside details on this tunic. I used french seams throughout and I even bound the sleeve seam with bias. No raw edges to be found. I had a terrible time keeping the collar symmetrical. I didn't like the instructions for sewing the collar facing. The instructions said to pin the facing and then sew by stitching in the ditch on the outside. I did that and it left me with a weird little flap below the seam line. I trimmed the facing and tried again but trimmed too much apparently. I ended up having to make a facing (the gingham) and slip stitched it over the collar facing seam by hand. I actually really like the result. I know I've seen contrasting facings like this in mens shirts before. I love the sleeves. Probably the most time consuming sleeve I've made, but I'm completely happy with how they turned out. All in all, I really like this pattern. The pintucks were fun. I've always liked tunic length blouses, being pretty tall. And it has a lot of variations that I'm looking forward to making in the future. This one's a keeper! I made the skirt, too. Just a simple cotton a-line. I lined it so I could wear it with tights. I'm ready for fall, if you can't tell. The Tipi and--- an Award! Ok, so it is official that the Internet is a crazy place. I think we all knew that already but I have to write about what happened the other day. I wrote about the tipi that my husband made on Burdastyle back in December and I also included it on one of my first posts here on my blog. 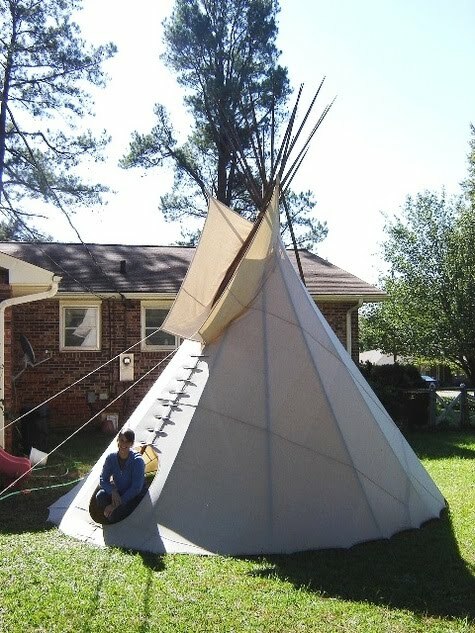 Now normally I would just call someone completely nutty who creates their own tipi and go on with my life, BUT this tipi is the reason I started sewing. It was the catalyst, the impetus for my love of textiles. My husband brought home a sewing machine to make a tipi and I haven't stopped sewing since. It's really impressive when you see it all set up. You understand how a family could live in one comfortably. And I like to think about the historical connotations of it as well, that this was how Great Plains Native Americans lived... pretty cool. I think we both love that we have this tipi now, even if it is for different reasons. So we also both enjoy it when people comment on the tipi. He likes the fact that it is his creation on my Burdastyle page and it has the most views and comments. And Burda even put it on as a featured project when I posted it. So, imagine our surprise when I discovered another comment on it the other day. Someone wrote that they were late on commenting but nice job and as a tipi maker, they appreciated all the hard work. It was signed..... Linda Holley. What?! Linda Holley as in the author of this book? It's almost unbelievable. This is one of two books that J used to make the tipi, the other being The Indian Tipi by Reginald and Gladys Laubin. I think both of these books are considered a kind of bible to tipi makers. There are tons of great illustrations and descriptions in both. 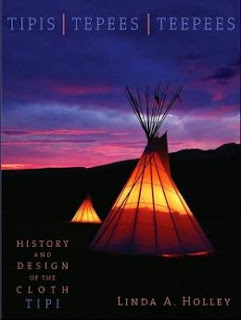 How crazy is it that Linda Holley commented on the tipi that was made with input from her book? That would be like a seamstress making a DVF wrap dress and having Diane herself comment, "Nice job! I can appreciate it as a wrap dress maker myself." How cool is that? And in other news, Steph of 3 Hours Past the Edge of the World gave me an award! I'm so flattered because I love reading Steph's blog and all the sewing wisdom she imparts. I'm currently working on a linen blouse where I am taking special pains to make the inside as beautiful as the outside. As I sew, I think, "What would Steph do?..." She always includes such amazing details in her garments. I'm not going to write ten things about myself, mainly because I'm pretty boring and I've already written about the tipi. I'll say this; I love teaching kids, my husband is a great painter, I have two cats by accident and I want to learn how to play the accordion. But I do want to mention five other blogs I love to read. Green Apples. One of the reasons I started blogging myself. I was totally inspired by her Kate Jeans. I love seeing all the things Stitchywitch sews and knits. 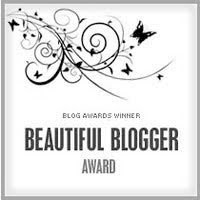 I see she just received this same award from another blogger! Now you have two. Laurwyn's blog Quirky Pretty Cute. I admired her creations on Burdastyle for a long time and then she started blogging, too. She truly has an individual and fun (and quirky!) sense of style. Tilly and the Buttons. I feel so hip when I read Tilly's blog. Makes me want to live in London and wear cute vintage dresses all the time. And I love the fact that she notes her soundtrack as she writes. Valerie's Own Sewing Blog. I read every word Valerie writes carefully because I know I will learn lots of valuable things from her. Valerie leaves the best comments, too. Lovely Textiles. This last blog I just discovered. It's more a blog about textile art but I spent hours looking through all the material that has been posted over the past few years. There aren't regular postings, but the posts are incredible and inspiring. I'm looking to combine my love of art and sewing in the near future. I had mentioned before how I've had trouble fitting dresses through my back and shoulders. I was on a major sewing kick right before I went back to work about a month ago. I made three dresses in a week thinking I would have lots of back to work clothes. All of them were fails. I've never been so sad. All sorts of fabric and time gone to waste. Isn't that the most frustrating thing about sewing a failure? I felt I had lost my mojo. None of them fit right. The main issue I have with fitting is through my shoulders and high back. I always end up with too much fabric at the back of the neck and it bunches up or sticks up really high on the back of my neck. The particular dress I'm writing about now is Simplicity 2798 which is now out of print. I tried to take a picture in my bathroom (below). It's a little blurry but you can kind of see what I'm talking about. Valerie, I know you gave me some good advice on finding an adjustment, but I've yet to do it. I'll have to have someone help me since it's my back. I was particularly sad about this dress because I had high hopes that this would be a pattern I could make over and over again. A cute cotton shift dress with a curved yoke and fun pockets? Hmm. Anyway, I decided that I did not want to let the fabric or my fabulous lace trimmed pockets go to waste. So I turn my failed dress in to a skirt! I do love the pockets. It's ok, I think. It's wearable. It's really wrinkled in my photos because I actually had worn it that day. I used a curved facing from an a-line skirt pattern I love and made a waistband. I put little pleats within the pockets where there was extra fabric. So it's a save..... sort of? Funny thing about this blog, I notice things in my photos as I write. Is it possible that the whole dress is too big? And it's the wrong kind of fabric, too. I'm slowly weaning myself off of quilting cotton- just that it's always so cheap! And a note about my Self Stitched September blues: I'm a little bummed out because I didn't sign up. I wimped out. Mainly because I don't have a lot of clothes I've made that I can wear to work, namely pants. I feel like I should have challenged myself to do it anyway. Well, I'll get busy making some practical pants this fall and winter. Then I'll have no excuse for March or May. I just googled SSS and it's amazing what popped up. I'm excited to see what everyone who is participating posts!